The President of the Slovak Republic, Ivan Gašparovič will be visiting Bosnia and Herzegovina on the 27th and 28th November. The arrival of the President of the Slovak Republic on the International Airport Sarajevo is scheduled on the 27th November at 11 a.m. 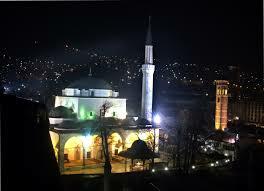 The ceremony joined with the Military tribute will be held in front of the Presidency of Bosnia and Herzegovina. After the ceremony a meeting of the President of the Slovak Republic is scheduled with the members of the Presidency of Bosnia and Herzegovina. The second day of the visit, the President Gašparović will be in Banja Luka. In Banja Luka he will meet with the President and the Prime Minister of Republika Srpska and the President of the National Assembly of Republika Srpska. The Malaysian Halal Entrepreneurship Fair 2019 will be held from 18 to 20 April in front of the BBI Center in Sarajevo.